When my agent suggested to me several years ago that I try my hand at writing a crafting mystery, it seemed like a perfect fit. Here I was, a crafts designer by profession. I wouldn’t even have to do any research. I could draw on plenty of my own experiences in the industry. I’ve worked consumer and trade shows; designed for magazines, book publishers, and kit manufacturers; even spent several years as an editor of craft books for two different publishers. Other writers were already penning mysteries about the rest of the needle arts and soft crafts. Same with the hard crafts. I didn’t want my books to be derivative of another author’s work, so what could I do that hadn’t already been done? Inspiration struck when I realized the common thread that linked all of the crafting mysteries being published. They all featured women (or the occasional man) who owned or worked in crafts shops or sold their own handmade crafts. No one had written about an amateur sleuth who was a crafts editor. In addition, no one had written about general crafts. Every series I came across was craft-specific -- stained glass, crochet, scrapbooking, miniatures, knitting, quilting, etc. So now I had a unique profession for my amateur sleuth, but I still didn’t know who she was or what her back-story would be. Then one day I burned my finger (for the gazillionth time!) while using a hot glue gun. As I iced my injury and cursed my glue gun for assaulting me, a title popped into my head -- Assault With a Deadly Glue Gun. After a bit more pondering, I came up with Anastasia Pollack, the crafts editor at what she fondly refers to as a “second-rate general women’s magazine sold at supermarket check-out lines.” And of course, I gave her a personal life filled with conflicts and crazy relatives just because I could. Besides, who wants to read about a protagonist with a perfect life? We’d all want to kill her, and I couldn’t exactly see any editor buying a series where readers were rooting for the amateur sleuth protagonist to become the next dead body. I faced a bigger challenge in coming up with craft projects to incorporate into my book. I’m used to writing directions, but I’m also used to relying on charts, patterns, and diagrams. I can’t simple say, “Cast on 42 stitches. Work in stockinette stitch for 3-inches.” That works great for knitting but wasn’t going to work for me. However, graphics add expense to a book’s production costs, and as an author trying to break into a new genre, I didn’t want to give a potential editor an excuse for rejecting my series. Writing directions is a lot like writing a mystery. As an author, I have to know whodunit from the beginning, but I want to surprise my readers at the climax of the story. Did I leave enough clues to keep them guessing or too many that they figured out whodunit by chapter three? When writing directions, I have to make sure that each step makes sense to the crafter. Even if it makes perfect sense to me, it might not to someone else. Can the crafter move easily from Step 1 to Step 2 to Step 3? Are my directions concise and easy to follow or confusing and frustrating? Simple enough to understand or overly complex and complicated? 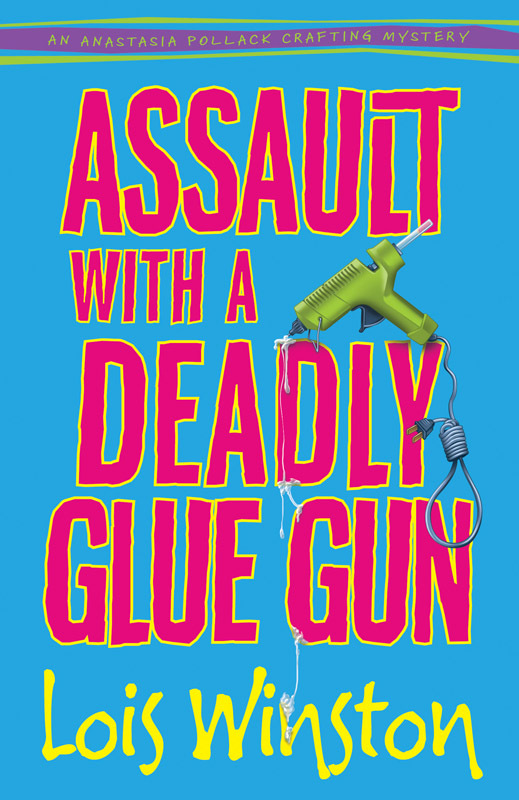 Assault With a Deadly Glue Gun eventually sold and became the first book in my Anastasia Pollack Crafting Mysteries series. The book featured a variety of craft projects for weddings and the 4th of July. Needless to say, I’ve been living an unending Sally Field moment ever since. 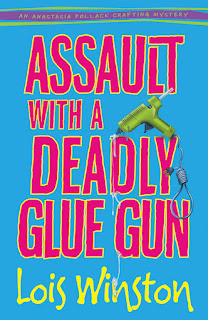 Assault With a Deadly Glue Gun received starred reviews from both Publishers Weekly and Booklist. Kirkus Reviews dubbed Anastasia “North Jersey’s more mature answer to Stephanie Plum.” The book has been nominated for a Book of the Year Award by ForeWords Reviews and two Readers Choice Awards from the Salt Lake City Library System and Canyonland Press. 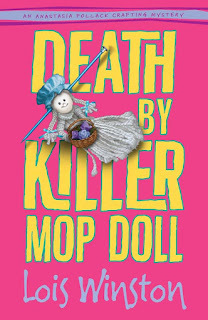 This past January Death By Killer Mop Doll was released to glowing reviews. 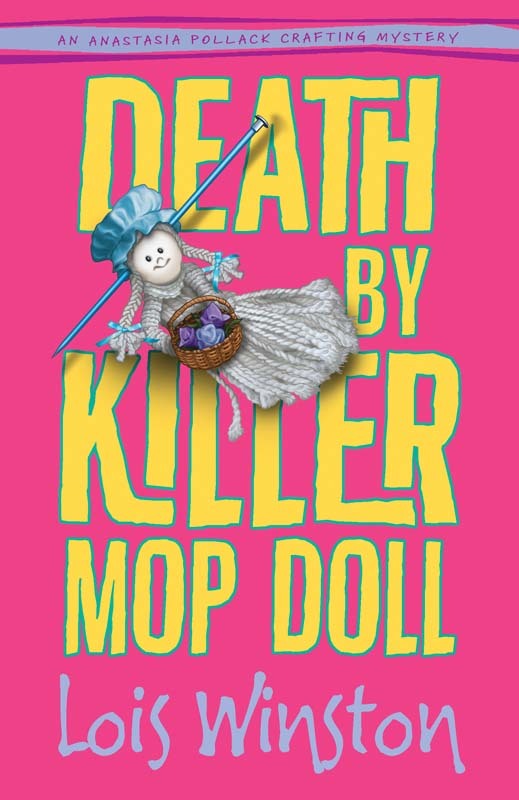 That book features projects for making -- wait for it -- mop dolls (duh!) Revenge of the Crafty Corpse will be out in January 2013 and feature yo-yo crafts (no, not the Duncan plastic variety, fabric yo-yo’s.) There will be at least two more books to follow. I’m currently working on the fourth book in the series, tentatively titled Decoupage Can Be Deadly. Want to guess which craft I feature in that book? Lois Winston is an award-winning, critically acclaimed author and designer as well as an agent with the Ashley Grayson Literary Agency. Visit her at http://www.loiswinston.com and Anastasia at the Killer Crafts & Crafty Killers blog: http://www.anastasiapollack.blogspot.com. What a clever series, Lois. I'm glad Anastasia came to life for you. Kirkus Reviews' comparison of Anastasia to Stephanie Plum says a lot! Having been burned more times than I like to admit by glue guns and having made a few mop dolls myself, I am now curious. So you have this morning succeeded as a blogger by gaining a reader. And, personally, I love it when I get to the part of a pattern where I can sit back, relax, and stockinette stitch for three inches. Helen, I hope you enjoy the books! As a crafter and mystery writer, I totally understand the attraction to crafts and the fun they can add to your books. And there are so many more crafts just waiting to be explored. I am doing "altered books" at the moment, and can see that as a possibility. All the best in your crafty novels. Thanks, Sheila! I forget who suggested it, but it was definitely another MI author. Thanks, GBPool! I'm tackling fabric yo-yo's for the third book in the series, Revenge of the Crafty Corpse, due out in January. I'm currently working on Book 4 and using decoupage for that one. Great idea for a series, Lois. And those are some eye-catching covers! Ah, yes, Sheila. I remember now. I seem to be shedding brain cells at a rapid rate lately! I just glued two pieces of foam core board together, reduced a cover flat on my copier, and glued it around the boards. I love Anastasia! Can't wait for the Crafty Corpse.